Dropshipping is a rather new addition to the business dictionary. Dropshipping is essentially a service in which the dropshipper connects bridges the gap between the consumer and the manufacturer/wholesaler. 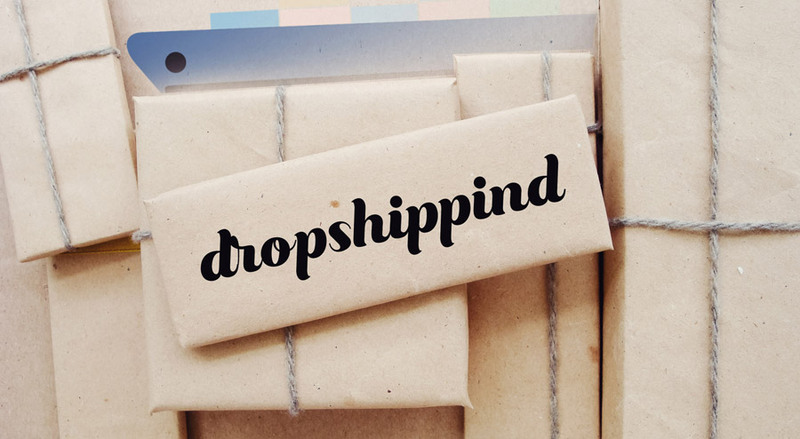 First-time and inexperienced merchants can become dropshippers with just a little bit of knowledge and resources, though it’s not exactly a risk-free venture. One advantage of dropshipping is having the capacity to sell a product straight from the supplier without needing to keep tabs on merchandise or inventory. That way, you won’t need to cover overhead costs for storage. However, the dropshipper must be aware of what and the quantity of products is currently in stock by the supplier, which is a completely different challenge. A dropshipping business may experience downtime if they aren’t kept up-to-date on the supplier’s latest merchandise info and have no backup suppliers. To help you with your dropshipping endeavors, numerous dropshipping software and services are available to automate most of the data exchanging and communications processes between them and their suppliers. If you’re interested in becoming a dropshipper and/or are looking for the greatest applications that automate a lot of the tedious work involved, then you might want to pick one or more of the following dropshipping software. Etail Solutions is for the serious, high-volume merchants that use numerous channels for selling. This software was founded in 2010 and has gone on to grow into a highly reputable centralized service that automates the selling and shipping processes. Etail Solutions uses the Etail Vantage Platform to incorporate all of your sales channels into a single interface, including popular online marketplaces such as Amazon and eBay. It also works with Shopify, Magneto, and software from large retailers like Living Social, Sears, and Rakuten. Etail Solutions automates several of your daily procedures, decreasing the need for more staff members to boost your business’ growth. All the inventory across the various channels will updated regularly so you will not have to manually check with your suppliers to see whether their products are still in stock. Although a trial period of Etail Solutions is not available, you can ask to try the Demo version to see how the software in play. The cost to purchase this software is not readily available through their website so you will need to speak to an online rep to get a quote. It’s a good thing that their rep is always available to take and answer your questions. This software was released in 2011 is the “rising star” program to assist dropshippers with their daily business procedures. Dropship Commerce is marketed for mid-sized businesses that aim to streamline their operations. Like any other reliable dropshipping software, this one automates the information-sharing process between retailers and suppliers to assist them with exchanging goods, managing inventory, and making purchase orders. The unique structure of the platform involves the customer integrating his or her business with the automation process before receiving access to various tools such as order analytics, inventory updates, and shipments. It is an attractive software that many would like to get their hands on, but it requires a hefty investment and true dedication as it is a yearly service that must be paid for in advance. The prices of their most popular packages range from $3,000 to $12,000 annually. You must also be ready to shell out another $1,000 to set up and integrate your business with their platform. Plus, each trading partner that you integrate into the system will be an additional $30 per month. This dropshipping software was launched in the ancient times of 2002 but has persisted to become one of the most experienced and trustworthy dropshipping solutions available. Its popularity is mainly due to the easy start-up opportunity that the company offers, as well as their flexible price tags for their services. There are also over 3,500,000 products cataloged in their system from roughly 180 different suppliers. Inventory Source has six different plans that you can choose from which suit your business best, but their first, most standard package is completely free. Without investing a single cent, you can familiarize yourself with their software and upgrade to a paid package whenever your business needs it. Formerly known as EcommHub, Hublogix is an automation platform the servers to cut down the time and effort that online traders spend checking on merchandise inventory, delivery, routing, and tracking. As any dropshipper would know, this is truly a handy product since it works together with numerous suppliers all over the internet. It supports extensive integration with platforms such as Shopify, BigCommerce, and Volusion, as well as large online retailers like Amazon and eBay. Users can follow all inventory levels and shipment details in real-time, as well as control deliveries to inform customers where their goods are being shipped to and their ETAs. Hublogix also comes with reporting capabilities that informs users of their sales performance right on the dashboard of their accounts. Customers can choose between three plans where the main difference is the number of orders that can be processed starting from 100. For every order that surpasses the limit, you will have to pay an additional fee. You can also choose to use their services with a one-time payment of $99 and $49 per vendor. Although Spark Shipping is the youngest software of the group, it is still an extremely promising dropshipping platform to automate most of the tedious jobs associated with dropshipping. It was launched in 2013 and was soon a popular choice for aspiring dropshippers to take over many of the business procedures. Apart from automatically updating merchandise and supplier information, it also synchronizes their stock levels to ensure that you don’t sell beyond your suppliers’ readily available stock. Like other programs on this list, Spark Shopping is connected to big e-commerce platforms like Shopify, WooCommerce, and Magento. However, it should be noted that this program is not specifically aimed for new dropshipping businesses that have yet to receive orders or set up contracts with suppliers. Customers can choose between four available plans, starting from a monthly payment of $99. Basically, your payment plan will depend on how many orders you need to process (starting from 150) and the number of SKUs you need (the most basic plan supports up to 5,000 SKUs).